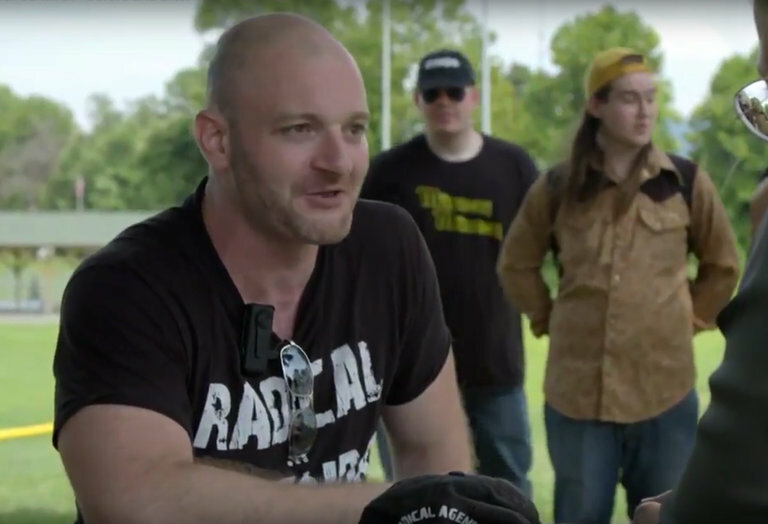 White nationalist Christopher Cantwell said Thursday that prosecutors have "upgraded the charges" against him and he's now facing "60 years in prison" for defending himself from antifa. The judge ruled yesterday that Cantwell was a threat to the public safety and a flight risk because of his hate speech, making it clear that the ruling was politically motivated. Additionally, Richard Wilson Preston Jr. of Baltimore made a court appearance by video as well. He was caught on tape waving and firing a gun, and bond determinations for him will be made at a later date. Cantwell is far from a sympathetic figure for many reasons, but this abusive treatment by the state is already changing his public perception. Cantwell’s openly racist beliefs may turn off the public, but this persecution is already causing observers on the right to sympathize with his plight. “This is unconstitutional. These are defendable [sic] charges, strong self defense case. Hate the guy, but that’s reality,” said Mike Cernovich, a prominent pro-Trump blogger who previously speculated that Cantwell was a fed, in a Tweet. Cantwell is providing updates via phone so he can stay connected to his fans while he is in lockup. He appeared on “Real News with Jason Kessler” last night for his first release to the public since his incarceration. Cantwell claims he is facing 60 years in prison for merely defending himself against a mob of leftist terrorists and expressing his uncensored thoughts. Cantwell said he was previously facing 20 years in prison for using pepper-spray to defend himself.